With a gossamer tent and fairy lights, The Courtyard is perfect for any dream wedding or debut, or even a birthday party! 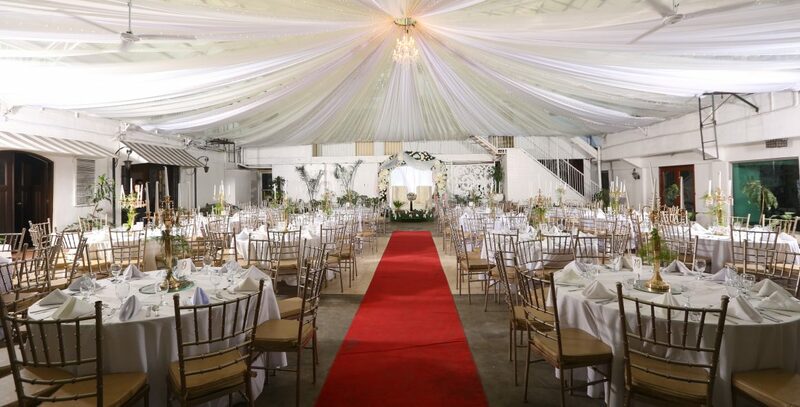 Good for 150-200 people, we can fit it out with a red carpet, stage, floral arch and fancy centerpieces. The Courtyard is an al fresco venue, with a high, tented ceiling and a wide, open space.